So there we have it, The United Kingdom will leave the European Union. I was a little surprised when I heard the result this morning, as I really believes that although the result would be close that Remain would clinch it. Eventhough it wasn't the result I wanted, I'm not submitting to shoddy scaremongering some Remainers are peddling (at least not yet). Western civilisation won't collapse as a result of the UK leaving the EU and The Third World War will not ignite. There undoubtedly will be political and economic turbulence now that David Cameron will resign as Prime Minister and the pound has hit a 30 year low. However, the UK won't be facing the apocalypse anytime soon. Despite my disagreement with their position, I empathise with why many of my fellow citizens would wish to be rid of the European Union. Its lack of democracy and accountability, its inefficiency, its inability to provide a coherent response to crises and the broader resentment over discussions on immigration. What disappointed me about the campaign was how these underlying issues behind the hostility towards the EU were barely addressed. The Remain campaign, recognizing that it little to say on these issues without embarrassing itself, has largely avoided these issues, focusing its energy almost entirely on economic arguments. Leave campaigners have been equally opportunistic in the way they have addressed questions of democracy and immigration by manipulating them to obscure the issues and play into nostalgic, pseudo-emancipatory, nationalist rhetoric. Moreover, for all the economic and cultural beneftis of the European Union, whenever a the EU has faced a major crisis like the Eurozone crisis and the migrant crisis. It has handled it badly by failing to have a coherent response and the 'response' has usually made the situation worse not better. And because it lacks the democratic mandate and a proper sense of democratic legitimacy for such decisions, it can't deal with these crises properly. With all this to consider, I understand why many people voted to leave and be rid of the EU. Simply generalizing them as deluded little Englanders or knuckle dragging racists will get us nowhere and will not solve the issues, instead it will make the political climate more toxic than it already is. While the EU is a fundamentally undemocratic institution, leaving the EU would not, in itself, bridge the democratic deficit. There exists today a much more profound disenchantment with mainstream political institutions, on a national, as well as at a European level, which has led to an upsurge in support for ultra-nationalist and populist parties throughout Europe. The Brexit result may restore a greater degree of sovereignty, but it will not address the deeper anger at the political establishment and even at the idea of politics. In conflating resentment about lack of democracy with restraints on national sovereignty, Leave campaigners obscure the real problems. The dangers of such conflation can be seen most clearly in the debate about immigration. Leave campaigners argue that outside the EU, Britain would have control of its borders, and so be able to ease people’s fear about immigrantion. As Boris Johnson suggested, "You can only spike the guns of the extremists and the people who are genuinely anti-immigrant"..."if you take back control." Boris is simply wrong. Britain has been unable to reduce the flow of immigration in areas where it has complete control. Migration to Britain from outside the EU was higher last year than EU migration. EU net migration currently stands at 184,000 compared to 188,000 from outside the EU. The Tory government made it a promise in their 2010 election manifesto to reduce migration to the ‘tens of thousands’, and being unable to limit EU migrants, they strived particularly hard to reduce non-EU migration numbers, including adopting the ‘points-based system’ favoured by critics of high immigration. Its continued failure to reduce numbers is telling, showing that unless the government wishes to weaken the British economy, its ability to control migration is limited. Promising to limit immigration and failing to do so will, only exacerbate people's resentment and contempt including increase hostility to immigration. While immigration may be the most potent symbol, to some, of an increasingly globalised world out of control, and of ordinary people having little say in the policies that affect their lives, it is not the reason for the grievances and hardships many people experience. Britain has experienced a series of economic and social changes over the past few decades which have decimated working class communities such as the decline of manufacturing industry, the crumbling of the welfare state, the coming of austerity, the growth of inequality -combined with political shifts, such as the erosion of trade union power and the transformation of social democratic parties, to create a sense of rage among sections of the electorate. Immigration and open borders has played almost no role in fostering these specific changes. However, it is the lens through which many perceive these changes and is among the top issues that concerns voters when polled, largely because of the way that immigration has been framed by politicians of all shades over the past half century. At the same time, politicians nowadays often express a certain kind of Liberal disdain for the masses whom many regard as provincial, racist, and incapable of adopting a rational view of immigration. Former Prime Minister, Gordon Brown’s description during the 2010 election campaign of pensioner Gillian Duffy as ‘a bigoted woman’ because of her worries about European migrants from Eastern European captured the contempt of elite politicians for the little people’s immigration concerns. This toxic mix of fear and contempt has helped both to stigmatize migrants and to create popular hostility towards the liberal elite for ignoring peoples concerns on immigration policy. Certainly, the Leave camp have promoted obnoxious arguments about immigration throughout the campaign, from Michael Gove’s warnings about marauding Turks to Nigel Farage’s absurd ‘Breaking Point’ poster. But supporters of the EU also bare some responsibility creating an anti-immigration climate. For instance, Prime Minister David Cameron who led a campaign against ‘benefit tourists’, despite the government’s own Migration Advisory Committee insisting that there is "little evidence to support the so-called welfare magnet hypothesis as a migration driver across EU countries". Leave supporters, have not addressed issues of democracy and immigration, but exploited them in an opportunistic, and often in reactionary fashion. In simplifying the problem of democracy to the bureaucratic structures of the EU, they have ignored the shifts in politics and the economy that have left large sections of the electorate (mainly working class people) feeling politically voiceless, and which will not be addressed simply by leaving the EU. In having this narrow, primitive and divisive notion of democracy and promoting strict border controls as the key expression of national sovereignty, they have utterly obscured the problem. Unfortunately, for the working class people who voted for Leave they have swapped one useless and distant elite for another one who will fare no better at addressing their concerns and worries. 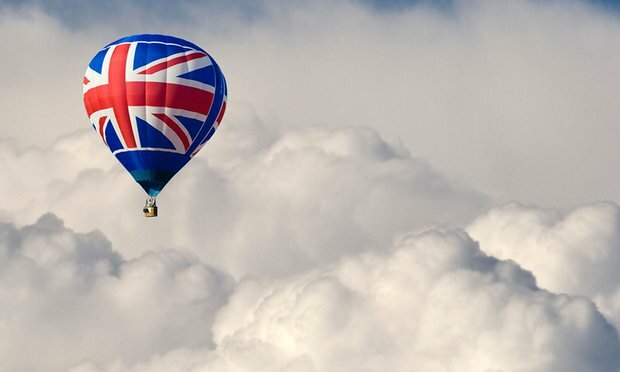 Now that the result is Britain will officially leave the European Union, I believe it is unlikely that the popular disaffection with mainstream political institutions, or the sense of being politically voiceless among large sections of voters, is likely to be eased anytime soon. And it will not be eased until we directly address the reasons for their anger and disaffection. Well thanks very much young chap, it is a shame those earning good money & ten years your senior in the mainstream media, cannot present such a well-rounded response. I disagree with your position, but i am having difficulty disagreeing with some of your many excellent assertions. Immigration from outside the EU is more difficult to control because a certain amount of the foreign nationals coming in are relatives or spouses of British citizens. In 2014, for instance, 9.5% of all live births in Britain came from mothers born in the middle east or asia. It seems likely that the majority of these women are married to British nationals and are not refugees or skilled workers. I might be wrong. How could you reduce immigration by any sizable degree without denying citizens the right to marry people from abroad?